SAMET returned from IF DESIGN with an award for the third time with its Innovation World! SAMET, Turkey’s leading brand of furniture accessories, has been awarded for the third time at the IF Design Awards, one of the most prestigious design competitions in the world today. 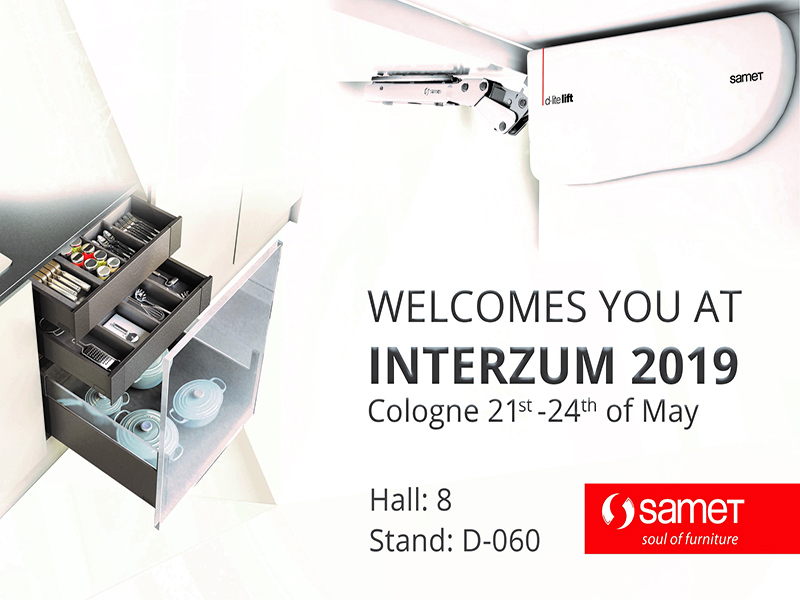 SAMET won an award in “Home Furniture” category with its Smart Flow and Alpha Box drawer systems, and D-Lite Lift lift-up door system. SAMET, the industry leader in innovative furniture accessories, returned from the world’s leading design competition IF Design with an award. What brought to SAMET the award are Smart Flow with its slim and elegant side-panel design, Alpha Box attracting attention with its superior rail systems as well as its functionality and D-Lite Lift lift-up door system, which employs no-hinge technology for sleek design. This year, thousands of designs from 53 countries competed at IF Design Awards, organized since 1953 and given in 7 main categories; “Product Design”, “Packaging Design”, “Communicaton Design”, “Architecture”, “Interior Architecture” , “Professional Concept” and “Service Design”. A jury of 58 international experts assessed products based on criteria such as quality, design, choice of materials, degree of innovation, environmental effect, functionality, ergonomy, the visuality of intended use, security, brand value and the principles of universal design. 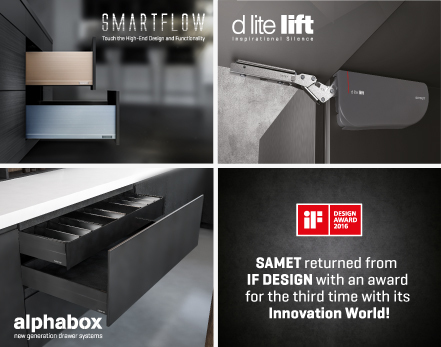 Before having received an award for its 3 products within the Innovation World in “Home Furnitures” category this year, SAMET had won an IF Design Award also in 2015 with MonoLift & DuoLift lift-up door mechanisms , and another one in 2014 with its ELA Elastic Hinge Cover.